Masakazu Hirata is from the city of Okayama, Japan. He is a member of the Flat Twin Club of Japan - a BMW-specific motorcycle club with members from all over Japan. 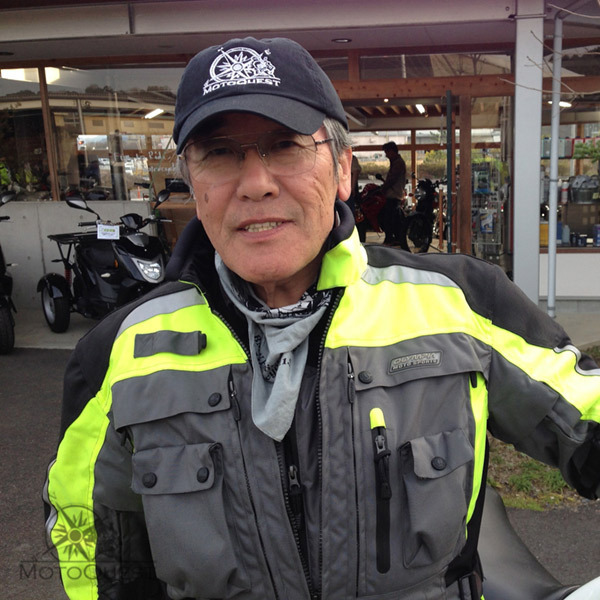 He and his riding buddies have been discovering the best riding throughout southern Japan for over 40 years! He is instrumental is designing routes and finding unique places to stay for our Japan tour. He also guides the Japan tour, and is very adept at picking the best riding. He can even read the signs! He is the type of rider that does not need much, just a road in front of him. He will show up rain or shine. He is truly a riding junky. Come with us to Japan, and you will also discover that he is Karaoke king! Favorite Motorcycle Experience: Riding, period.